"Indian citizenship" redirects here. For the United States law, see Indian Citizenship Act of 1924. An Act to provide for acquisition and determination of Indian citizenship. Along with the Constitution of India, the Citizenship Act, 1955, is the exhaustive law relating to citizenship in India. 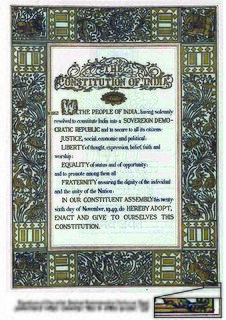 The conferment of a person, as a citizen of India, is governed by Articles 5 to 11 (Part II) of the Constitution of India. The legislation related to this matter is the Citizenship Act 1955, which has been amended by the Citizenship (Amendment) Act 1986, the Citizenship (Amendment) Act 1992, the Citizenship (Amendment) Act 2003, The Citizenship (Amendment) Act, 2005 and Citizenship (Amendment) Act, 2015. Article 9 of Indian Constitution says that a person who voluntarily acquires citizenship of any other country is no longer an Indian citizen. Also, according to The Passports Act, a person has to surrender his/her Indian passport and voter card and other Indian ID cards must not be used after another country's citizenship is obtained. It is a punishable offence if the person fails to surrender the passport. The Passports Act is an act of the Parliament of India "for the issue of passports and travel documents, to regulate the departure from India of citizens of India and for other persons and for matters incidental or ancillary thereto." The Act applies to whole of India extending to citizens of India living outside the country. The Act replaced the Indian Passport Ordinance 1967 and was enacted by Act 15 of 1967 with retrospective effect from 5 May 1967. The act describes the procedures in getting an Indian passport. Indian nationality law largely follows the jus sanguinis (citizenship by right of blood) as opposed to the jus soli (citizenship by right of birth within the territory). The President of India is termed the First Citizen of India. 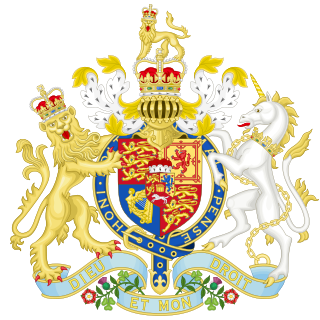 The Government of India Act 1858 was an Act of the Parliament of the United Kingdom passed on August 2, 1858. Its provisions called for the liquidation of the British East India Company and the transference of its functions to the British Crown. Lord Palmerston, then-Prime Minister of the United Kingdom, introduced a bill for the transfer of control of the Government of India from the East India Company to the Crown, referring to the grave defects in the existing system of the government of India. However, before this bill was to be passed, Palmerston was forced to resign on another issue. Later Edward Henry Stanley, 15th Earl of Derby introduced another bill which was originally titled as "An Act for the Better Government of India" and it was passed on 2 August 1858. This act provided that India was to be governed directly and in the name of the Crown. 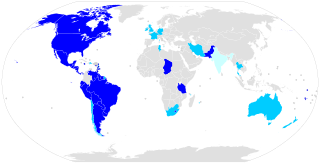 Indians resident and born in a princely state (also known as an "Indian state" or a "Native state") under the British Raj, or in any other British protectorate or protected state under the British government, held the status of British protected person . [note 1] This status extended to the wives and legitimate offspring of male subjects of those states. British protected persons were considered de jure foreigners, but could travel on British-issued passports. 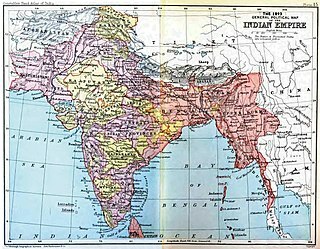 The Instrument of Accession was a legal document first introduced by the Government of India Act 1935 and used in 1947 to enable each of the rulers of the princely states under British paramountcy to join one of the new dominions of India or Pakistan created by the Partition of British India. From 1 January 1949, when the British Nationality Act 1948 came into force, to 25 January 1950, Indians in the Indian provinces became British subjects with Indian citizenship. 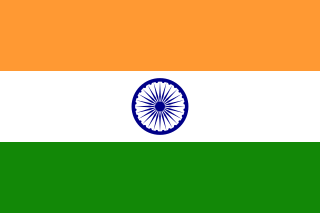 [note 3] From 26 November 1949, Indians domiciled in the territories of India became Indian citizens. 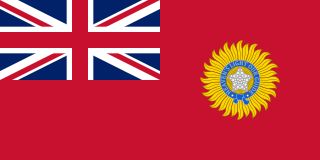 With the promulgation of the Indian Constitution on 26 January 1950, which established the Republic of India, the majority of Indian citizens were no longer British subjects, but continued to enjoy the status of Commonwealth citizen (also known as a British subject with Commonwealth citizenship, a status which does not entitle the holder to use a British passport), by virtue of their Indian citizenship and India's membership of the Commonwealth. However, a number of people, notably those who had been born in a former princely state, did not acquire Indian citizenship on commencement of the Indian Constitution and retained British subject without citizenship status (which entitles a person to a British passport) unless they had acquired citizenship of another Commonwealth country. The Citizenship Act of India (1955) finally extended Indian citizenship to all Indians, regardless of whether they had been born in a former princely state or not. Persons domiciled in the territory of India as on 26 November 1949 automatically became Indian citizens by virtue of operation of the relevant provisions of the Indian Constitution coming into force, and most of these constitutional provisions came into force on 26 January 1950. The Constitution of India also made provision regarding citizenship for migrants from the territories of Pakistan which had been part of India before partition. Persons born outside India on or after 10 December 1992 are considered citizens of India if either of their parents is a citizen of India at the time of their birth. a person of Indian origin who is ordinarily resident in India for seven years before making application under Section 5(1)(a) (throughout the period of twelve months immediately before making application and for six years in the aggregate in the eight years preceding the 12 months). a person of full age and capacity whose parents are registered as citizens of India. Renunciation is covered in Section 8 of the Citizenship Act 1955. If an adult makes a declaration of renunciation of Indian citizenship, s/he loses Indian citizenship. In addition, any minor child of that person also loses Indian citizenship from the date of renunciation. When the child reaches the age of 18, he or she has the right to have his or her Indian citizenship restored. The provisions for making a declaration of renunciation n under Indian citizenship law require that the person making the declaration be "of full age and capacity". Section 9(1) of the act provides that any citizen of India who by naturalisation or registration acquires the citizenship of another country shall cease to be a citizen of India. Notably, the termination provision differs from the renunciation provision because it applies to "any citizen of India" and is not restricted to adults. Indian children therefore also automatically lose their claim to Indian citizenship if at any time after birth they acquire a citizenship of another country by, for example, naturalisation or registration — even if the acquisition of another citizenship was done as a result of actions by the child's parents. Special rules exist for Indian citizens with a connection to Goa, Daman and Diu. Rule 3A of Schedule III of the Citizenship Rules, 1956 states that "Where a person, who has become an Indian Citizen by virtue of the Goa, Daman and Diu (Citizenship) Order, 1962, or the Dadra and Nagar Haveli (Citizenship) Order 1962, issued under section 7 of the Citizenship Act, 1955 (57 of 1955) holds a passport issued by the Government of any other country, the fact that he has not surrendered the said passport on or before the 19 January 1963 shall be conclusive proof of his/her having voluntarily acquired the citizenship of that country before that date. On 16 February 1962, a Constitution Bench of the Supreme Court of India held in the case of Izhar Ahmad Khan vs Union of India that "If it is shown that the person has acquired foreign citizenship either by naturalisation or registration, there can be no doubt that s/he ceases to be a citizen of India in consequence of such naturalisation or registration." Front Cover of an OCI Card. Note: While it resembles a passport, it is not a passport nor does it confer actual Indian citizenship. This was a form of identification issued to an individual who held a passport in a country other than Afghanistan, Bangladesh, Bhutan, China, Nepal, Pakistan and Sri Lanka and could prove their Indian origin up to three generations before. It is generally difficult to have dual citizenship of India and another country, due to the provisions for loss of Indian nationality when an Indian national naturalizes in another country (see "Loss of citizenship" above), and the requirement to renounce one's existing citizenships when naturalizing in India (see "Naturalization" above). Children of foreign diplomats, who are born in India, are also given dual citizenship during the period of their parents' service in India. A minor child of Indian origins may hold dual citizenship of India and another country. So that the minor can decide within six months of completing 18 years of age as to whether he/she prefers Indian citizenship. A public interest litigation (PIL) seeking dual citizenship  for overseas Indians was filed in the Supreme Court on 6 January 2015  on the eve of the inauguration of the Pravasi Bharatiya Divas (PBD) in Gujarat's capital Gandhinagar by Prime Minister Narendra Modi. 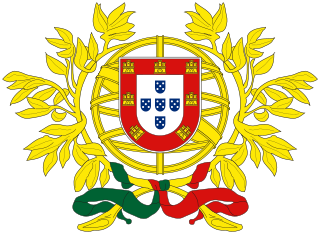 Portuguese nationality law-in regards to those who were citizens of Portuguese India before 1961. ↑ Indians then residing in the states of the Aden Protectorate or in the states under the Persian Gulf Residency, and their wives and families, remained British protected persons. Both administrations had been previously transferred to the control of the British Foreign Office, the Aden Protectorate in 1917 and the Persian Gulf Residency in April 1947. Members of the Indian diaspora then resident in any other British protectorate or protected state also remained under British protection. 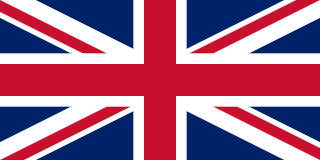 ↑ From 1 January 1949, the term British subject became interchangeable with Commonwealth citizen . 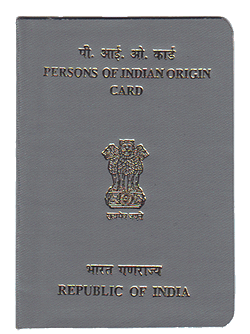 Persons of Indian Origin Card was a form of identification issued to a Person of Indian Origin who held a passport in a country other than Afghanistan, Bangladesh, Bhutan, China, Iran, Nepal, Pakistan and Sri Lanka. Icelandic nationality law is based upon the principles of jus sanguinis. In other words, descent from an Icelandic parent is the primary method of acquiring Icelandic citizenship. Birth in Iceland to foreign parents does not in itself grant Icelandic citizenship. Turkish nationality law is based primarily on the principle of jus sanguinis. Children who are born to a Turkish mother or a Turkish father are Turkish citizens from birth. The intention to renounce Turkish citizenship is submitted in Turkey by a petition to the highest administrative official in the concerned person's place of residence, and when overseas to the Turkish consulate. Documents processed by these authorities are forwarded to the Ministry of Interior for appropriate action. 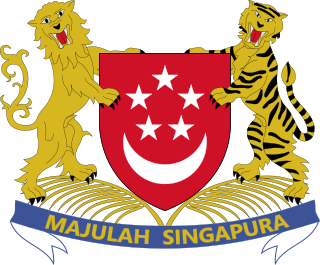 Singaporean nationality law is derived from the Constitution of Singapore and is based on jus sanguinis and a modified form of jus soli. There are three ways of acquiring Singaporean citizenship: by birth, by descent, or by registration. The Pakistani nationality law governs citizenship of the Islamic Republic of Pakistan. The principal legislation determining nationality, the Pakistan Citizenship Act, was passed by the Constituent Assembly of Pakistan on 13 April 1951. Since Cambodia changed its laws, Pakistan is the only country in Asia with unconditional jus soli citizenship rights. The Overseas Citizenship of India (OCI) is an immigration status permitting a foreign citizen of Indian origin to live and work in the Republic of India indefinitely. The OCI was introduced in response to demands for dual citizenship by the Indian diaspora, particularly in developed countries. 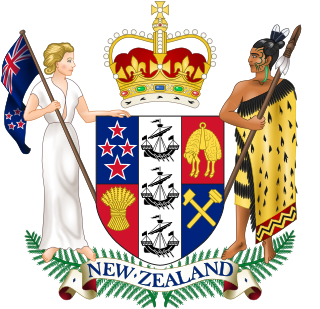 It was introduced by The Citizenship (Amendment) Act, 2005 in August 2005. It was launched during the Pravasi Bharatiya Divas convention held in Hyderabad in 2006. 1 2 3 "The Gazette of India - Extraordinary" (PDF). Press Information Bureau of India - Archive. Archived (PDF) from the original on 27 December 2018. "The expression 'British subjects' shall be deemed to include the Ruler and subjects of any of the Acceding States." ↑ "Delhi High Court Tikka Shatrujit Singh & Ors. vs Brig. Sukhjit Singh & Anr". IndianKanoon.org. For instance..."The British paramountcy lapsed on 14th August, 1947 and Maharaja Jagatjit Singh entered into a merger agreement on 20th August, 1948 by virtue of which separate State of Patiala and East Punjab States Union (PEPSU) came into existence. Before this merger agreement was executed, a declaration was made by Maharaja Jagatjit Singh with regard to his private properties in which he mentioned that they are his exclusive properties. From the period 14th August, 1947 to 20th August, 1948, Maharaja Jagatjit Singh was sovereign absolute ruler of Kapurthala State." 1 2 Nationality and International Law in Asian Perspective - Google Books. Books.google.co.in. Retrieved 2013-07-03. ↑ "Passport alone no proof of citizenship: Bombay HC". Times of India. 2013-10-29. Retrieved 2013-07-03. ↑ "Acquisition of Indian Citizenship (IC)". Government of India - Ministry of Home Affairs - Foreigners Division. Retrieved 2019-04-19. 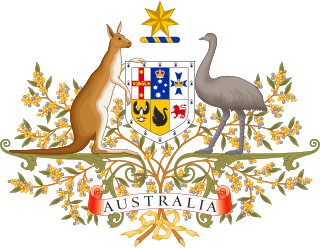 ↑ "What is the Citizenship (Amendment) Bill 2016?". India Today. Retrieved 26 January 2019. ↑ "What is the Citizenship (Amendment) Bill, 2016?". The Hindu. Retrieved 26 January 2019. ↑ "JPC report on Citizenship Amendment Bill, 2016 tabled in Lok Sabha". dd News. Retrieved 26 January 2019. ↑ "Letter from British High Commission Nairobi" (PDF). Retrieved 2 April 2018. ↑ "Flying to India? Carry old passport with OCI card - Rediff.com India News". News.rediff.com. 2009-10-29. Retrieved 2013-07-03. 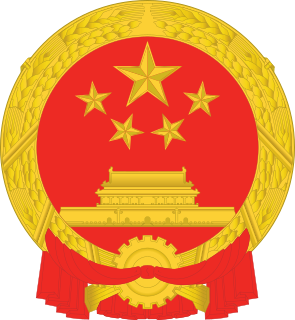 ↑ "Nationality Instructions, Chapter 14, Annex H, Section 7.5" (PDF). United Kingdom Border Agency. ↑ "PM announces merging of OCI, PIO cards - Indian Express". www.indianexpress.com. Retrieved 2 April 2018. ↑ "Embassy of India, Berne, Switzerland : PIO Card". indembassybern.ch. Retrieved 2 April 2018. ↑ "Dual Citizenship for Overseas Indians". www.dualcitizenship.in. Retrieved 2017-06-14. ↑ ANI (2015-01-08). "PIL filed in SC seeking dual citizenship for NRIs". Business Standard India. Retrieved 2017-06-14. ↑ "Supreme Court Dismisses Plea For Voting Rights of Overseas Citizens". NDTV.com. Retrieved 2017-06-14.